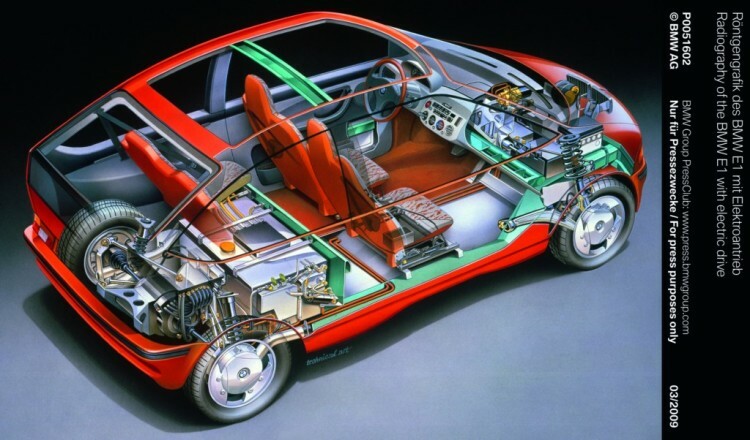 Before the days of the BMW i3 and Tesla Model S, as in the 1990’s, electric cars were far more rare. In fact, seeing an electric cars akin to seeing Bigfoot, you heard they were around but it was unlikely to ever see one. 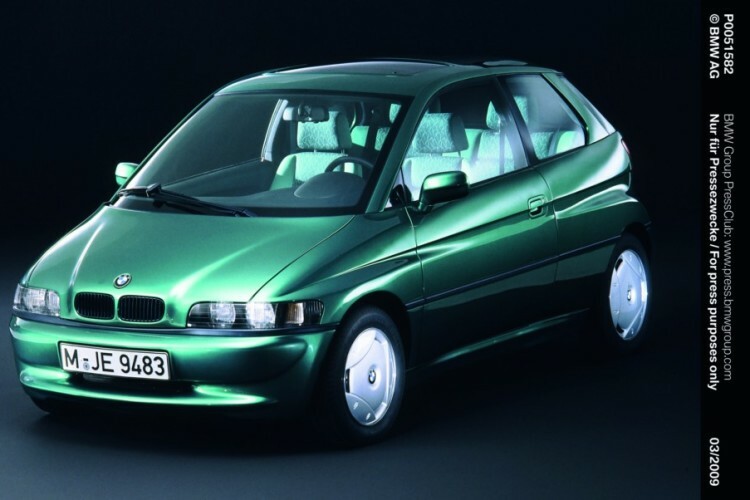 However, during the ’90s, BMW created an electric car that would be a hit today and it never received the credit it deserved, partly because it never went on sale. The BMW E1 was developed in the ’90s and was a purely Battery Electric Vehicle (BEV) that could actually embarrass some modern day EVs. It used a sodium-nickle chloride battery, which isn’t as modern as the lithium-ion batteries used in the i3 and Model S today. That old-schools type of battery isn’t as efficient or as light, but it was still able to give the BMW E1 a range of around 150 miles and a recharge time of only a few hours. So it had specs that would be great even today. A large part of why it was so good even back then was because it was so light. 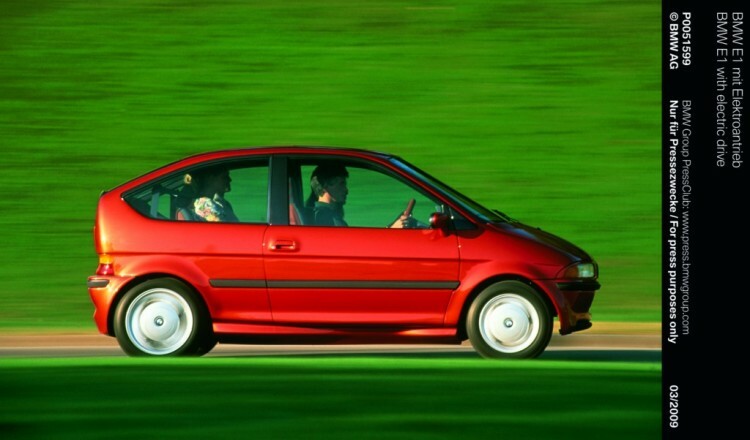 Much like the BMW i3, the E1 had a lightweight high-tech construction with plastic body panels. In the case of the BMW i3, it has a carbon fiber passenger cell with high-tech recycled plastic body panels. In the case of the BMW E1, it had an aluminum chassis, which was very high-tech in the ’90s for a standard road car, and plastic body panels, which kept it very light. It was also incredibly small and had a very minimalist interior, which helped. The exterior was very plain and had a sort of Tic-Tac look to it, so not your typical BMW. It did have a cool double rear window, though. On the inside, it was very basic and could easily be mistaken for an old Chevy sub-compact. However, all of that was necessary to keep the weight down and make it functional so it could have the impressive range and decent performance. The BMW E1 had somewhat of a bad rep, as one of them caught fire while charging and burned down, even burning the building it was parked next to. So that hurt its reputation quite a bit, giving the public another reason to fear electric cars. Plus, the BMW E1 never actually went into production, so that combined with one burning down and the E1 seemed like a failure for BMW. But in fact, it was the very opposite of that. The BMW E1 is the precursor to the BMW i3, as it gave the Bavarians a basic road map as to how to make a successful electric car. You don’t make an EV great by just stuffing more and more batteries into it, but by maximizing the amount of energy you can get out of a battery by removing things you don’t need and making the car as light as possible. Using a high-tech chassis that’s very strong, it allows BMW to use lightweight body panels without sacrificing style or strength. BMW did this with the E1 and, more recently, with the i3. So the BMW i3 is actually somewhat of a spiritual successor to the BMW E1 and the former wouldn’t have existed without the technical success of the latter.